Small & large livestock care while your away, nutritional advice, management & consulting. Specializing in equine. Experienced with donkeys, mules, cattle, sheep, goats, swine, llama, alpaca, & all poultry. Some wildlife also. Over 40 years experience. Certified as a livestock adviser through WSU. Fourth generation foundation quarter horse trainer/breeder. 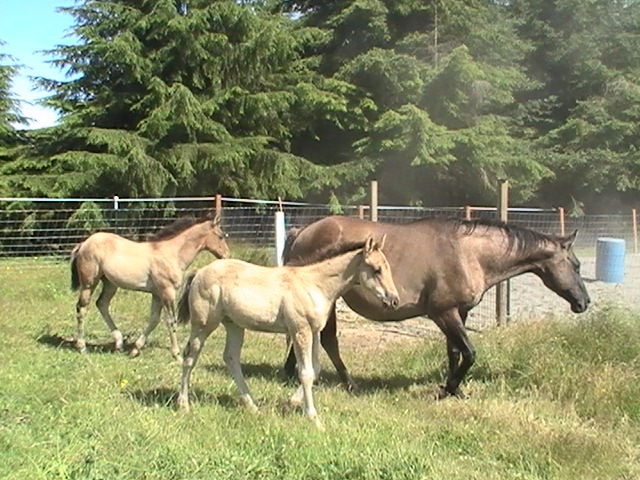 Foaling & Imprinting experience, Equine reproduction course completed at University of Oregon. Pasture management & fencing advice. Prior mgr of M bar C Ranch & Livestock specialist at Skagit Farmers Freeland.